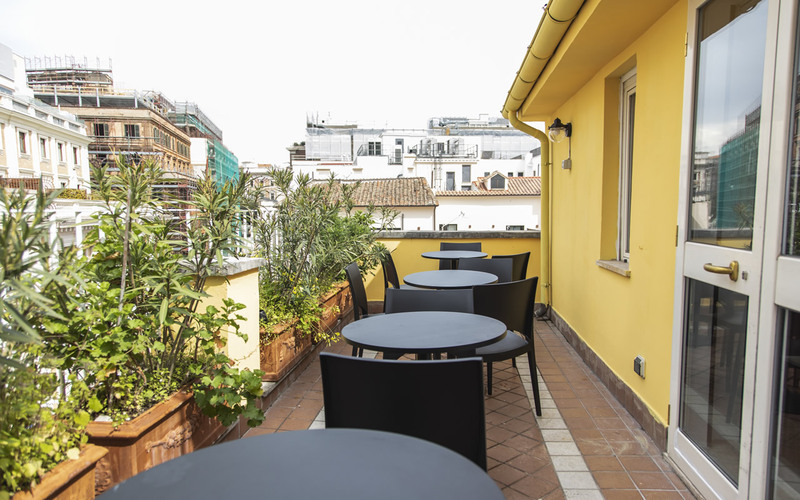 The Hotel Cinquantatre is located in the historical Rione Trevi area which is a central and vibrant neighbourhood of Rome. This areas truly encapsulates the artistic and architectural patrimony that are the greatest strengths of Rome. From the Bernini fountains to the masterpieces of Caravaggio, and from the Spanish Steps to the lush Villa Borghese hosting the Biopark - a favourite place of children, Rome has it all. By staying in our hotel, you can escape machines and instead enjoy the natural beauty of Rome as if walking in a huge open air museum. The atmosphere of the most ancient city of Rome is mixed with that of a metropolis on the move, in addition to cultural heritage already mentioned, from this area of the city narrow cobbled alleys branch off from the main shopping streets offering Italian high fashion boutiques. 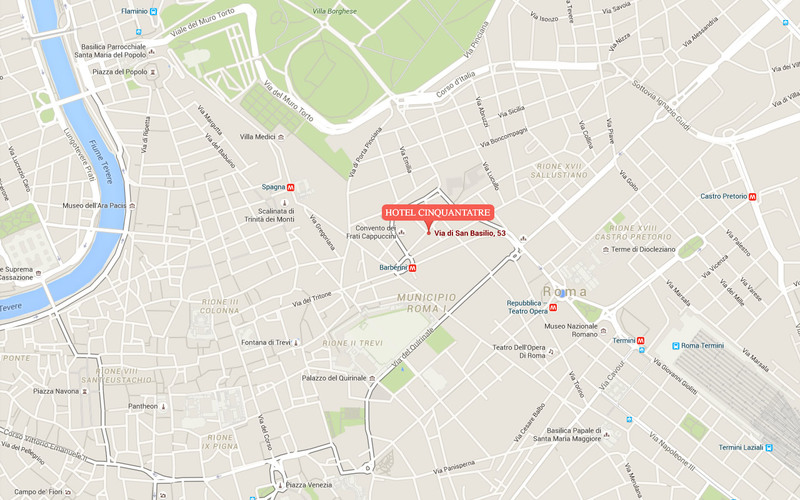 We are around 100 metres from the "Barberini" metro stop which allows guests to reach the Vatican Museums and the Coliseum in just 4 stops. Offering 14 comfortable rooms, guests can choose from a selection of varieties including doubles, twins, triples or even ‘double superiors’ complete with a balcony. 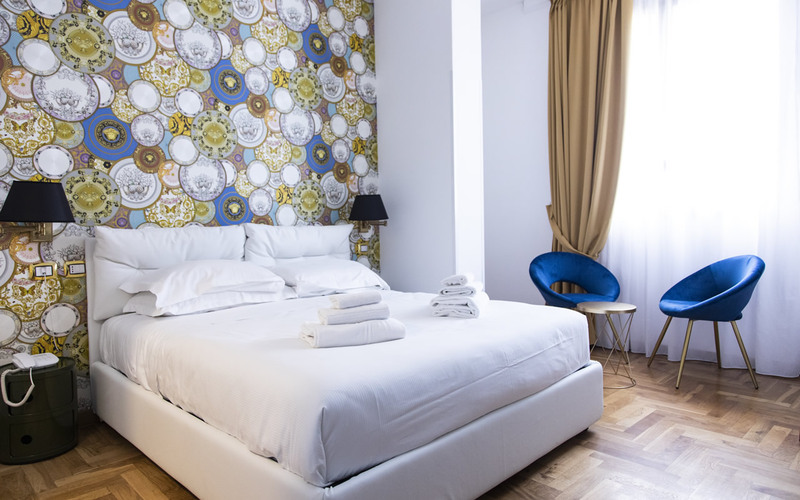 Each room is tastefully decorated and furnished with rich fabrics and antique features.